Aireon on January 11 completed the eighth and final payload deployment within the Iridium NEXT satellite constellation, which holds Aireon's space-based Automatic Dependent Surveillance-Broadcast (ADS-B) system. This final Aireon satellite payload was carried into Low Earth Orbit (LEO) by a SpaceX Falcon 9 rocket lifting off from Vandenberg Air Force Base in California. Placing the final 10 satellites into LEO brings the total number of Aireon payloads in orbit to 75 (66 operational payloads and nine spares) and passes one of the last remaining milestones before Aireon can begin a new era of global air traffic surveillance and aircraft tracking. The original Iridium constellation was put into Low Earth Orbit in the late-1990s with the primary goal of using satellites to link phone calls to any location on the planet. 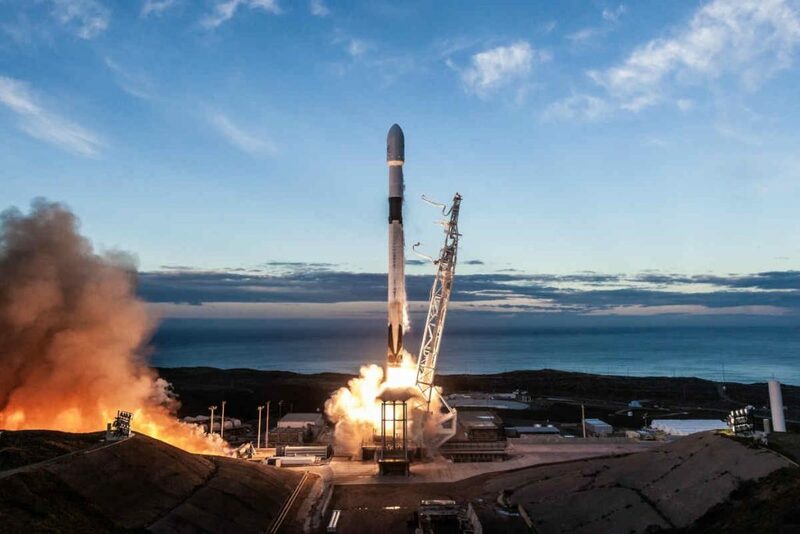 Iridium remains as the only satellite communications network to span the entire globe, and Iridium NEXT can be classified as one of the largest technology upgrades in space history at an estimated cost of more than US$3 billion. SpaceX explains the process of replacing the satellites one by one in a constellation of this size and scale has never been completed before. Iridium NEXT and the Aireon system will be leveraged by NAV CANADA, as well as other global air traffic management entities like NATS in the UK, the Irish Aviation Authority, Enav, and Naviair, to redefine the routing of aircraft. In addition to the Aireon system, the new constellation is enabling new products and services including Iridium Certus, the company’s next-generation L-band broadband solution for specialized applications, like safety services, remote monitoring, UAV and UAS command and control, tracking, and more. Aireon is the world’s first 100 per cent ADS-B network to serve as a global air traffic surveillance system. Unlike existing aircraft surveillance and tracking infrastructure, the Aireon system uses space-based ADS-B technology, which enables the automatic and real-time collection of aircraft position data. The technology gives air traffic controllers and airlines a more complete and comprehensive view of the entire sky. Aireon explains with this upgraded insight into the world’s flight paths, including those in remote and oceanic airspace, the entire industry will experience significant direct and indirect benefits like increased safety, more efficient flight routes, more accurate arrival and departure predictions, faster emergency response times, reduced aircraft separation, a decrease in CO2 emissions and more. Aireon explains the system is already processing more than 13 billion ADS-B messages per month, with that number expected to grow upon full deployment. Air traffic controllers rely on surveillance data possible to separate aircraft, which is often achieved through multiple redundant layers. Aireon’s data will provide air traffic controllers with a fully redundant data feed that covers the entire airspace, increasing the availability and reliability of a critical component in air traffic management, with a positive impact on safety and efficiency. This will in turn, help improve flight optimization by eliminating gaps in fleet data reports, and ultimately enhance the overall safety, accuracy and efficiency of worldwide air travel. 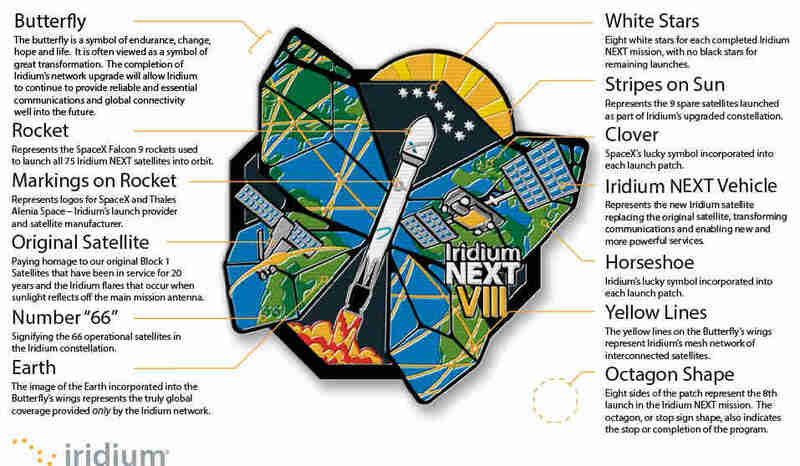 A total of 81 Iridium NEXT satellites have been built, all of which have the Aireon payload onboard. There are now 75 satellites deployed, with nine serving as on-orbit spares and the remaining six as ground spares. Real-time ADS-B surveillance will cover oceanic, polar and remote regions, as well as augment existing ground-based systems that are limited to terrestrial airspace.